What is the Role of a Master of Ceremonies? "Weddings and receptions are exciting celebrations. Guests, the wedding party and the bride and groom are usually abuzz with well wishes, sentimental tears, and later, food, fun, and dancing. With such a diverse mix for friends, families, new in-laws, co-workers, and neighbours, things can become quite chaotic. 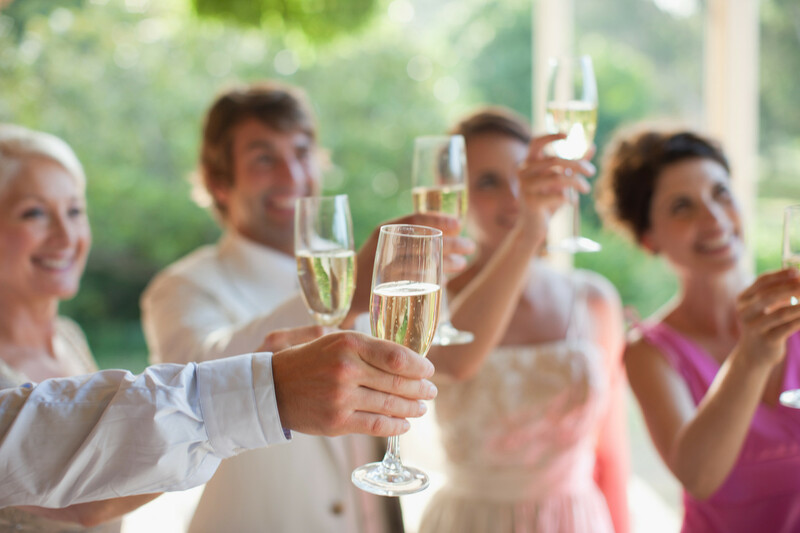 To keep the ceremony moving along, to make sure that everything the bride and groom want to have happen at their reception takes place, it’s important for there to be a designated voice. The Master of Ceremonies (MC) at a wedding reception is the point person and with microphone in hand, the loudest person in the room. As the master of ceremony, your job is to guide the guests and inform the wedding party of what’s happening and what they can expect to occur in the near future. Most times, the master of ceremony will use the sound equipment of the bands’ or the DJ at the reception to make their announcements. Once all guests are seated, the MC will announce the entrance of the new Mr & Mrs, and lead a round of a applause. For buffet style dinners, to keep order, the MC will let each table know when they can proceed to the buffet line. Overall, the role of the master of ceremonies is to ensure that amidst all the celebration, food, dancing, and drinks, that the night moves right along. Guests come to enjoy themselves and to celebrate the new couple but no one wants to linger at a wedding reception for hours waiting for the next event to occur. . When taking on the role of the MC, be sure to represent the couple in a good light. Refrain from drinking too much until your job has commenced and refrain from taking the opportunity to turn your role into that of a stand-up comedian. Throughout the reception, keep the focus on the couple and act on their behalf, as a gracious host." Carole Spiers - Founder and Inspiration Behind the Wedding Speech Expert. Carole Spiers is a popular speech writer and author of 3 best-selling books. As a writer, she understands that writing a wedding speech is surely one of the most difficult challenges anyone can face - especially before a wedding when there are so many other things to be attended to. Realising that writing for such an important occasion is tough for many people, Carole set up the Wedding Speech Expert five years ago now. Since then, she has provided hundreds of wedding celebrants with great speeches.